Once upon a time, actually for the last almost 11 years, there was a house with carpet that badly needed replacing, a dysfunctional and rather ratty looking kitchen, a half-built bathroom/laundry, and a completely useless bath in the main bathroom (it’s very shallow, I get in, the water gets out). 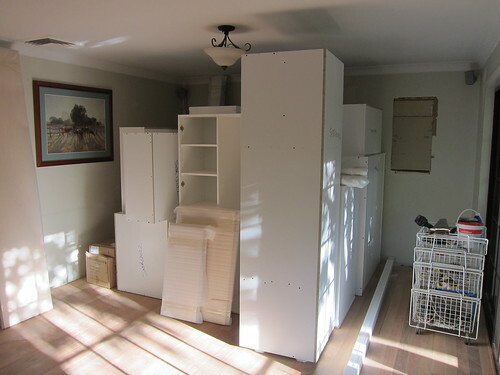 When this house was purchased (almost 11 years ago) the buyers said to themselves “we will do the carpets before we move in, and replace the kitchen asap, and fix up that half-built bathroom” and then there was simultaneous settlement, and having to move out of the old place and into the new on the one day, and kid number 3 was born 3 months later and it all got too difficult and too expensive and anyway wouldn’t it be better to wait till we can build that extension and move the staircase and have a dining room? After about 10 years of living with the now really hideous carpets and the rapidly deteriorating kitchen and the now leaking toilet in the half-built bathroom/laundry and the never being able to have a proper hot relaxing bath, and the having given up the main bedroom to one of the kids and inhabiting half the rumpus room instead and therefore having no proper bedroom door or wardrobe, the dream of a dining room and a relocated staircase became less and less important and was eventually discarded. 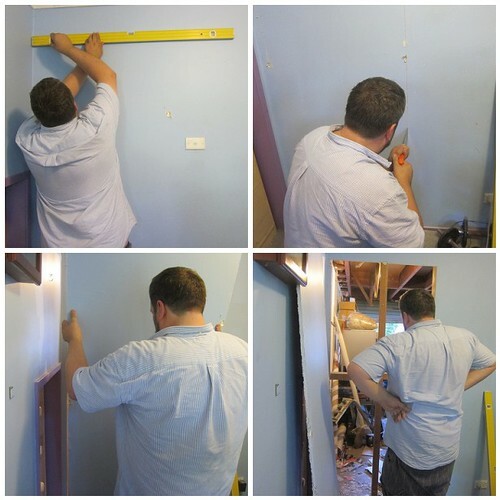 Inspiration had struck – if we just knock out that bit of wall there, and move that door, and demolish all of that wall and door, and knock a hole through there and build another wall there, and close that end of this room off as a walk-in wardrobe, all our problems with the downstairs will be solved! Simple! The doorway into the weird little room in the back corner of the garage that we’d closed up when we moved in got re-opened. 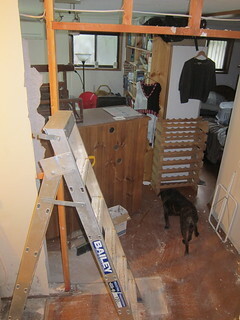 Bits of wall and doorways got demolished in the rumpus room and bathroom/laundry downstairs. The ceiling fell down in Tom’s bedroom. No, that wasn’t planned. Couple of dislodged tiles, days and days of torrential rain, slow leak being collected by the insulation and before you know it you come home one evening to find ceiling and insulation and lots of water all on the end of Tom’s bed. Oh joy. 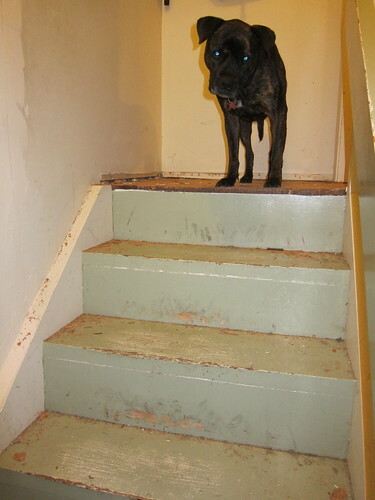 Never mind, we were planning on re-carpeting and painting anyway. 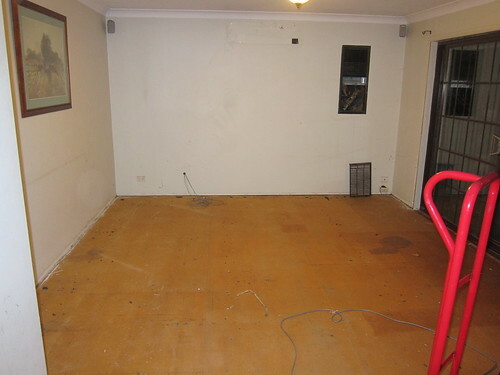 So Tom moved into the lounge room while his ceiling was repaired and his carpet ripped up, but we haven’t painted or re-carpeted in there yet, we’ll have to move him out again later for that. The kids got new built-in wardrobes. But the doors for Tom’s were made too small so we’re waiting for replacements for them. And then the fun really started. 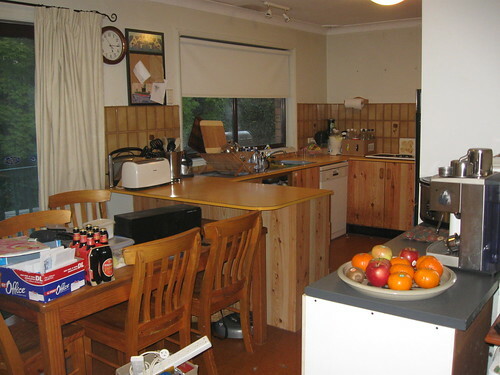 The kitchen and lounge room had to be completely emptied, the kitchen was demolished and we ripped up the carpet and cork flooring to make way for a new timber floor. 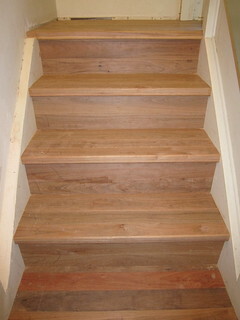 The stairs and the hallway to the kids’ rooms also got the grey ironbark treatment. 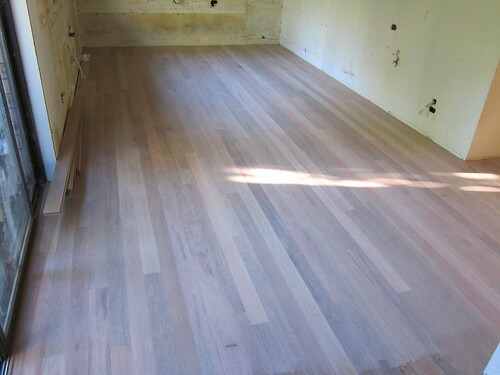 So pretty, and it hasn’t even been sanded and finished yet. 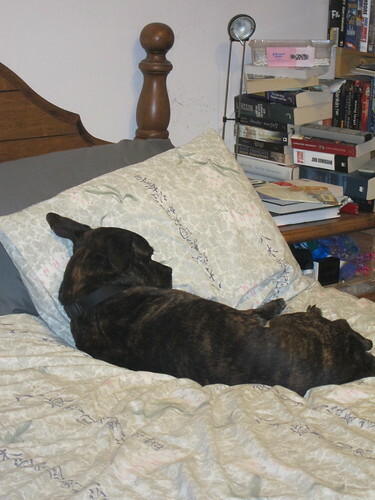 Both Clara and I are missing the lounges something fierce, but she’s making do with my side of the bed instead. Did I mention I’ve waited nearly 11 years for this? It’s so very definitely worth it, but I’m still going to whinge about the no lounges thing. Wow. Brave woman! 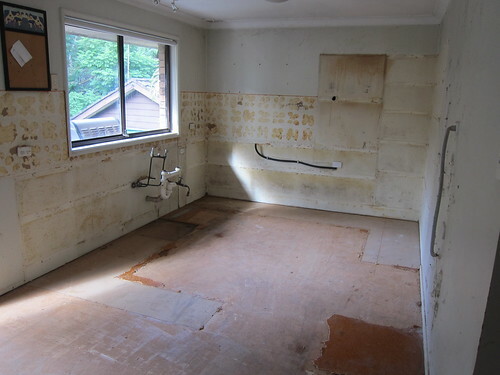 My parents bought a fixer-upper (read hovel) when I was 16. 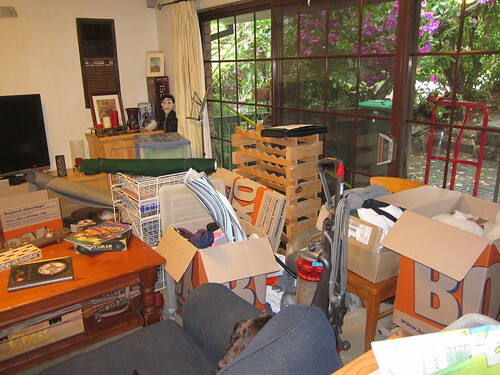 That is the house we are now living in and my Dad lives in a granny flat we built out the back. 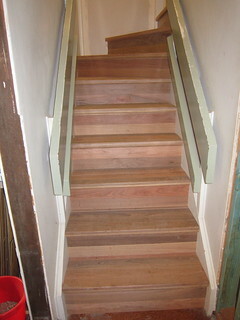 Most of the house has been renovated but there is still stuff to do. 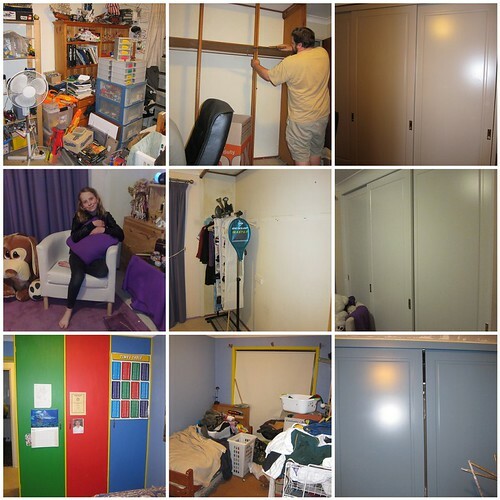 The wardrobes Dad built in 22 years ago still don’t have doors. The laundry still isn’t finished. 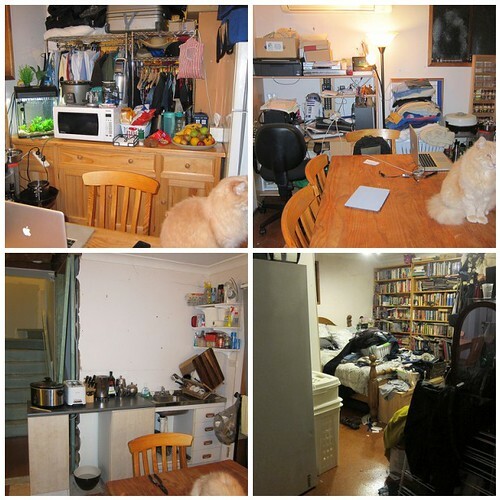 But the rest of the house is unrecognisable compared to what it was originally. 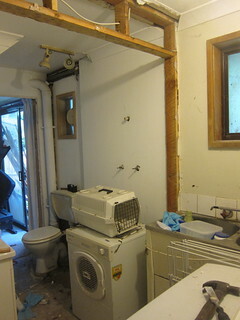 And now it is at the point where the carpets need replacing again and the whole place needs repainting. Oooooohhhhh! Looking very promising. I’ve been waiting to hear how it’s all going. Also, yes, I would complain A LOT about having no lounges, even though it is in pursuit of something wonderful.